June 22, 2012 March 7, 2016 | Anna W.
My Twitter feed has been blowing up the last few days in regard to Jim Caple’s Battle of the Ballparks. Brewers’ closer John Axford has been especially enthusiastic about getting fans to vote for Miller Park. 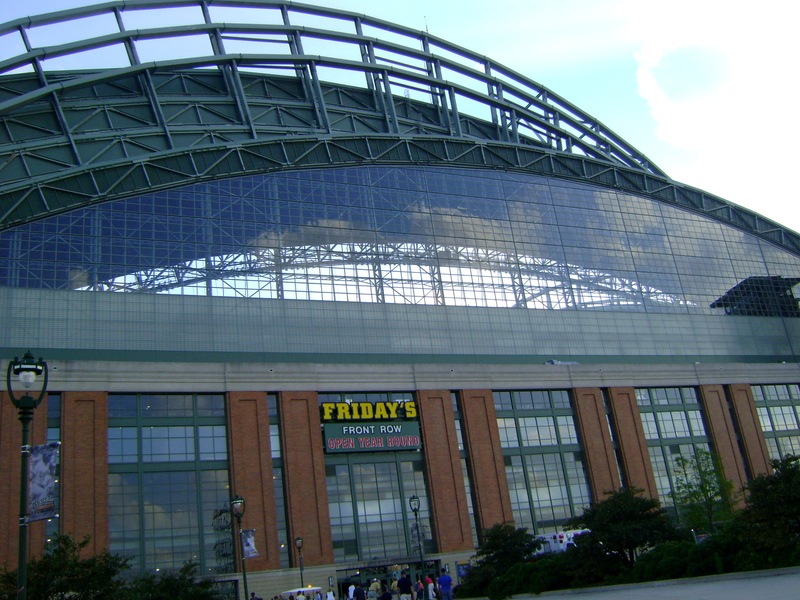 Milwaukee’s Miller Park is now in the championship against AT&T Park. A No. 24 seed versus a No. 3 seed. Something is clearly wrong with Caple’s seeding if a No. 24 seed garnered that many votes and that much attention to survive to this point. If the nation really thinks AT&T Park is better, it will win. On paper, everything points to AT&T Park winning, but lots of things look great on paper. But when you bring in the human element everything changes, and Caple made sure plenty of humans would get involved. And that’s his biggest mistake: expecting people to not react how they always react. Did he honestly expect Milwaukee fans to just sit there and let their beloved ballpark take such criticism? I wouldn’t be surprised if Caple alienated other voters into choosing Miller Park instead of AT&T Park. If my team’s stadium had already been eliminated I would be quite partial to voting for Miller Park based solely on the fact that Caple was being, for lack of a better word, a jerk about the whole situation. If he really wanted to know which ballpark is the best in baseball he probably shouldn’t have insulted Miller Park and what goes on there. He needs to stop blaming the “voting bloc” of Milwaukee fans for something he started in the first place; Caple brought all of this on himself. The point of this little bracket tournament was to determine the best ballpark in the country, though Caple apparently finds something wrong with Milwaukee fans uniting to vote. He says Milwaukee is “[calling] the shots” in this election, as if Miller Park winning more votes is unfair. No one is cheating the system here. I doubt Milwaukee fans broke the EPSN voting algorithm or anything like that. 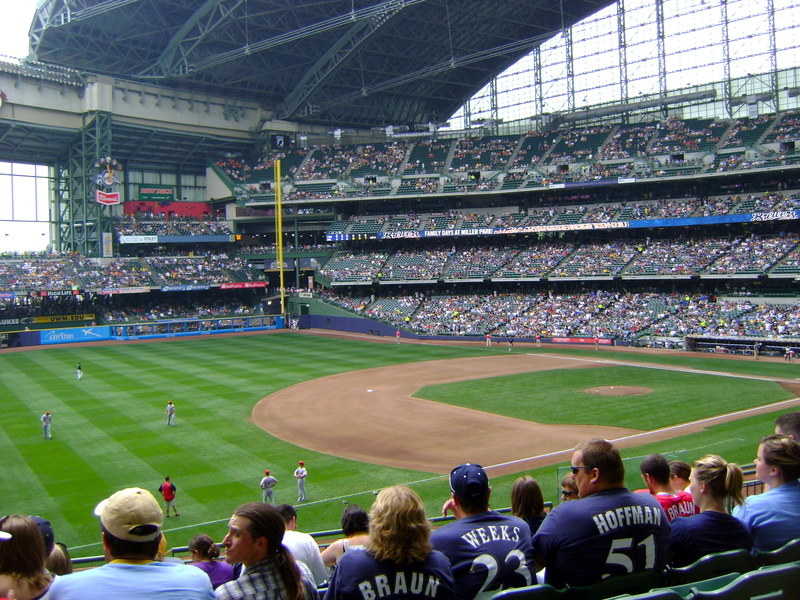 Miller Park is winning because Milwaukee fans love their park and they’re fighting to show it. Just because other team’s fans aren’t putting up a fight in no way makes the competition unfair. And if Brewers fans can unite in such a way to vote their team’s stadium the best in the country then Miller Park deserves to win. Stadiums within bigger markets, stadiums that boast truly incredible baseball history, didn’t make it to this final round. That says something about our baseball nation. Clearly it can’t be only Brewers fans voting for Miller Park or it would’ve been eliminated before now, or maybe fans of other teams don’t care whether their ballpark is voted best in the nation, but that only makes Brewers fans look better in terms of dedication. The 10 factors Caple came up with to determine the best ballpark mean practically nothing if the fans don’t support the team that plays there. (I recommend reading this article for a complete breakdown of how Miller Park fulfills each of Caple’s 10 factors though.) A ballpark is nothing without people to fill it and love it and respect it. Milwaukee fans do all of that and more. If this is how Milwaukee fans act in regard to a silly little voting contest that basically means nothing, think of how they must act in regard to things that really matter. And that’s why Miller Park deserves to be called the best ballpark in the nation. Endnote: If you couldn’t tell already from the huge banner at the top of this page, I’m a Milwaukee Brewers fan. I always have been and I always will be. I was born and raised in Wisconsin and lived in the same house for 18 years of my life before going to college in Utah. 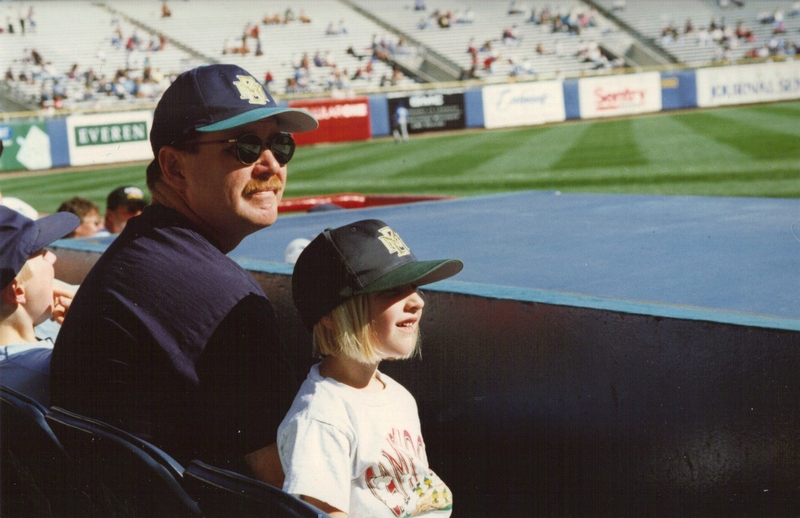 County Stadium and now Miller Park hold some wonderful memories for me. 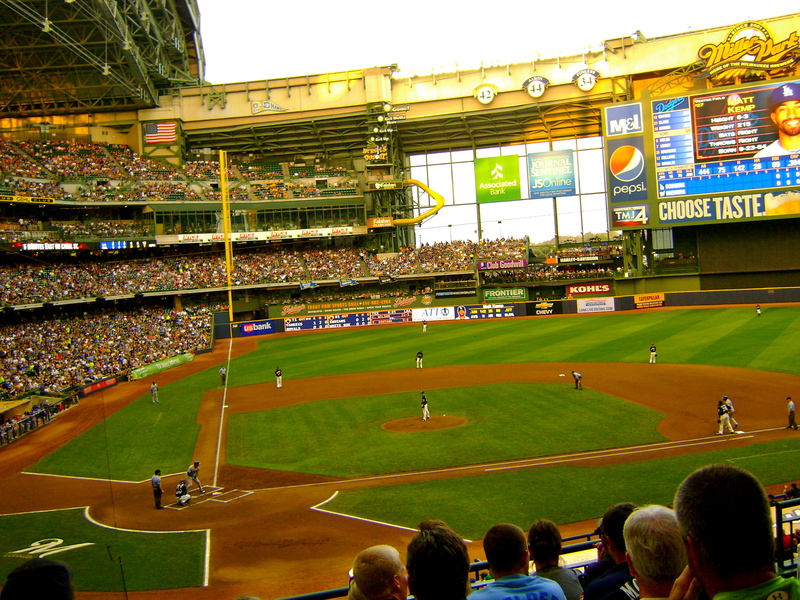 So take my thoughts however you wish, but just know Miller Park will always be the best ballpark in the nation. It will be because it’s my ballpark.